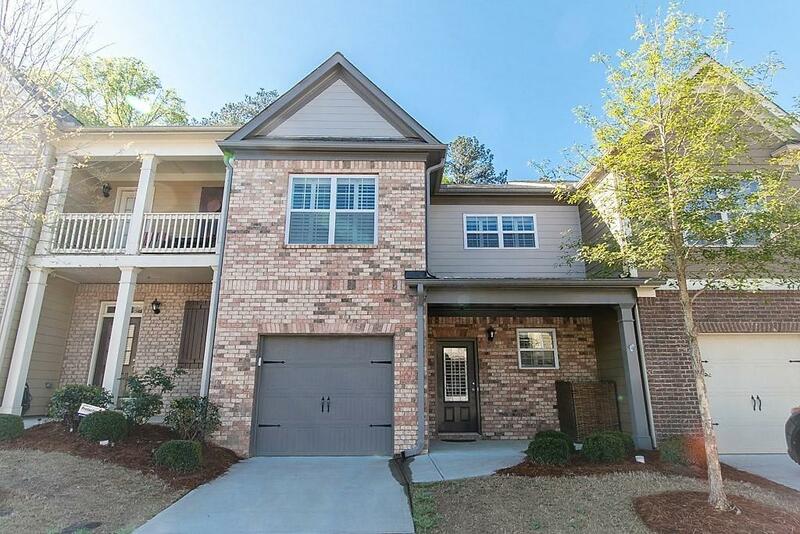 Upgraded move-in ready townhouse in great swim/tennis community. Less than 3 years old with 3 bedrooms and 2 Â½ bathrooms, original builder upgraded countertops and flooring throughout. Seller added custom-built master closet and wood shutters on every window and door. Enjoy the perfect outdoor living patio with luxury ceiling fan and full electronics mounting system ready for entertaining. Gas fireplace, tons of storage in attic and multiple closets with a large one car garage make this the place you want to call home! Directions: Highway 92/Ga-92. Turn Left Onto Priest Rd. Turn Left Onto Centennial Lakes Pkwy. Take 1st Right Onto Madison Ave. Take 1st Left Onto Franklin Ln. 359 Franklin Is On The Left.